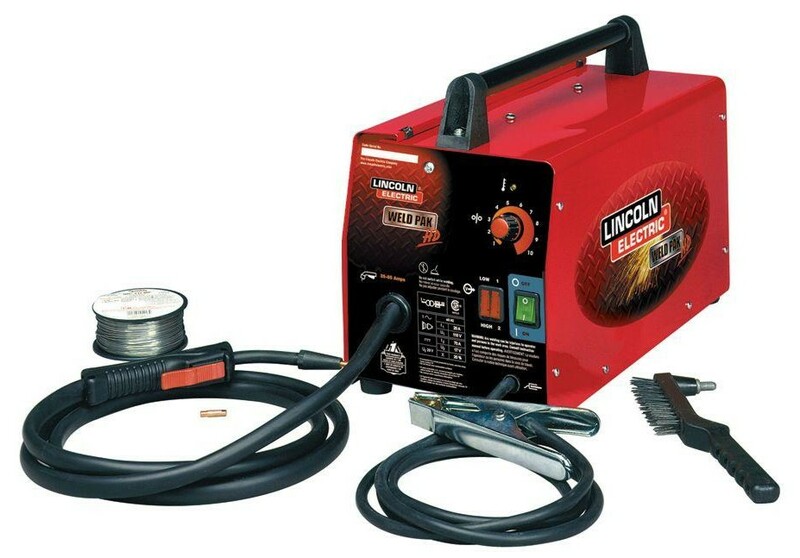 The Lincoln Electric K2278-1 Handy Core wire feeder welder from Lincoln Electric is a tremendous asset when home repair or hobby projects are in your game plan. It's a great pick for welding 18 gauge to 1/8" mild steel and comes with everything you need to get started fast. This package sports a gun and cable assembly, work lead, work clamp and input power cable all attached at the factory to save you time. A spool of self-shielded, flux-cored wire electrode, welding handshield, and chipping hammer/brush round out the line up. So, don't delay, add the Handy Core to your tool shed or garage today! Welds up to 1/8 in. mild steel. Plugs into household 115V, 20 amp outlet. Cold contactor safety feature keeps welding wire electrically cold until gun trigger is pressed. Compact, portable, lightweight and easy to use. Great for home repair and hobby projects on light gauge mild steel found around most households. With four output ranges, the Handy Core is versatile and the proper welding procedures are easy to set, even for the novice user. Fan-cooled for long life expectancy. One year warranty on parts and labor. (90 days warranty on gun and cable). Welding gun and cable assembly. Work cable with work clamp. .035" contact tips quantity 2. Welding handshield with #10 filter plate and clear glass cover plate.